The Flying Fijians Head Coach John McKee has announced the Flying Fijians Team to play host England in the opening match this Friday 18 September at 8.00pm in Twickeham Stadium, London. 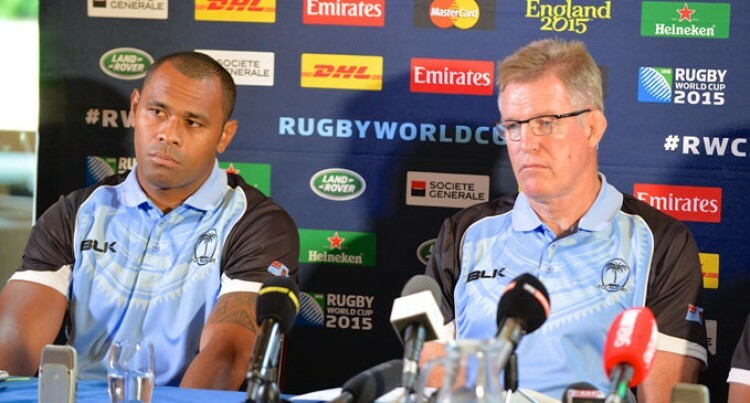 “I am very pleased to be able to announce a very strong line-up for the opening match of RWC2015,” McKee said at the Team Announcement at the Oatlands Park Hotel this morning. “We have come through a very good preparation phase and are ready to move into the competition. “All our players are fit and available for selection,” McKee added. “England is a very strong team and will be a difficult opponent at Twickenham. We are looking forward to the challenge of this opening game. “Our players have trained and played well throughout our preparation and must now step up to the high level and intensity we expect on Friday evening and throughout our Pool Matches, “McKee concluded.